"Health Coaching client, age 30, took initial Health Risk Assessment and scored 34. One year later score= 51. Had begun to make healthy changes and a few months later, score was 75. Began coaching and focused on exercise, nutrition and addressing mental health concerns and seeking therapy. HA score increased to 100. Health Coaching client lost 30 pounds, BP lowered from 174/92 down to 117/73." The Environmental Working Group’s mission is to empower people to live healthier lives in a healthier environment. With breakthrough research and education, we drive consumer choice and civic action. 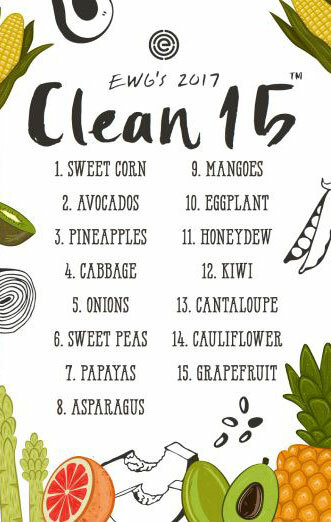 Here is the EWG's 2017 Shopper's Guide to Pesticides in produce! 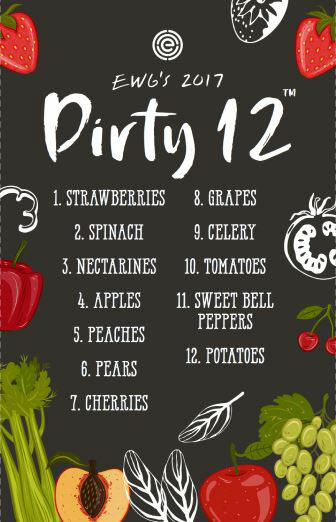 Strawberries are still #1 on the dirty list, so when you eat strawberries always buy organic! Feel free to contact us after hours and leave a message. We will return your message by the following business day.